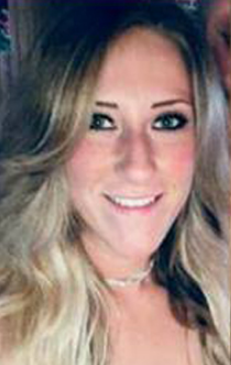 Rita was last seen talking on her cell phone, in the parking lot of 3's Bar. She told her friends she had another ride home. Link to Interactive Map in the Matter of Rita Garcia be viewed in its own Browser window for best viewing. 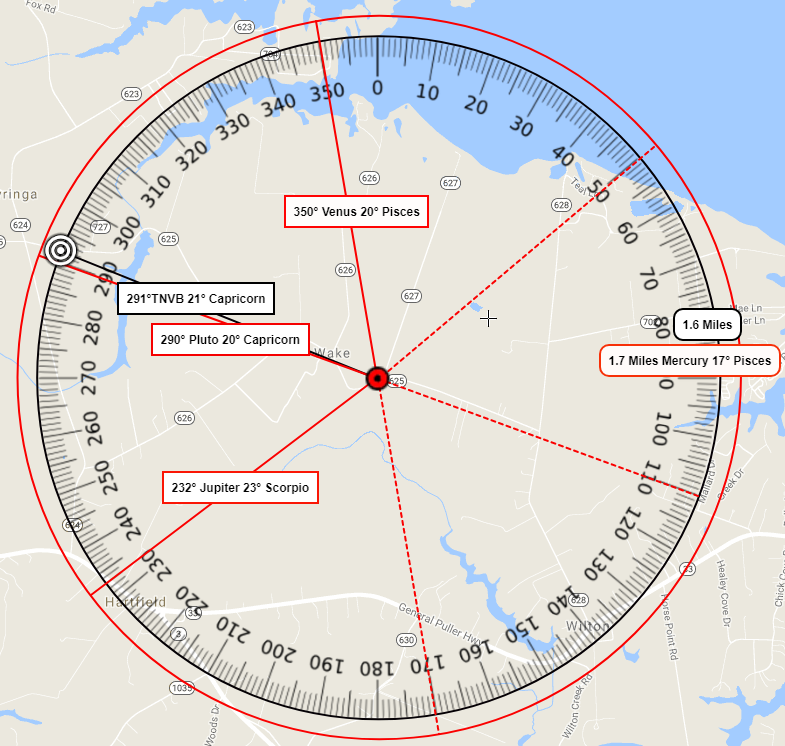 Illustration below shows Pluto's measurement of 290° or 20° Capricorn at the time of disappearance. The middle radius shown is drawn out 7 miles for the Moons' measurement at disappearance 07° Aries. Blue Marker is for Pella crossing that has been recently been searched a private search group. 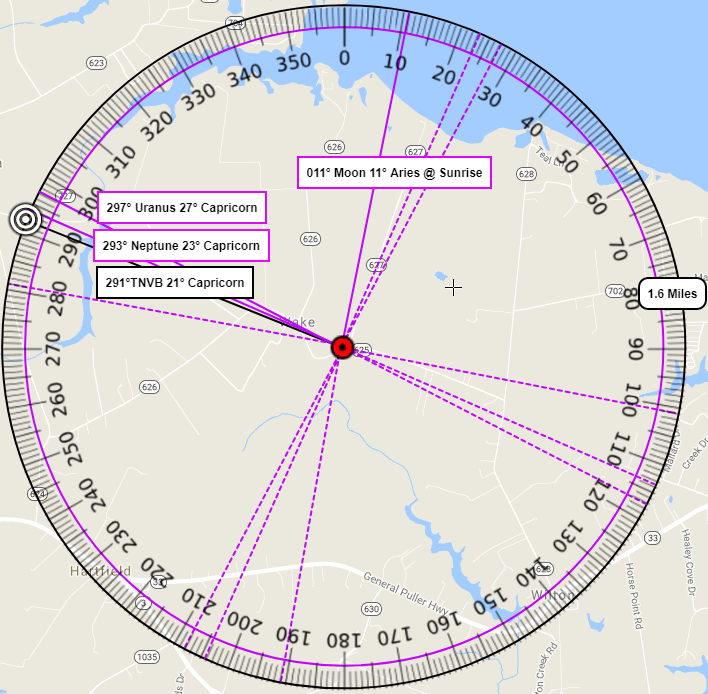 Red Vector highlighted shows Saturn's measurement at 08° Capricornt. Red vector below is Mars at 00° Capricorn. Both vector out West towards RT 7. 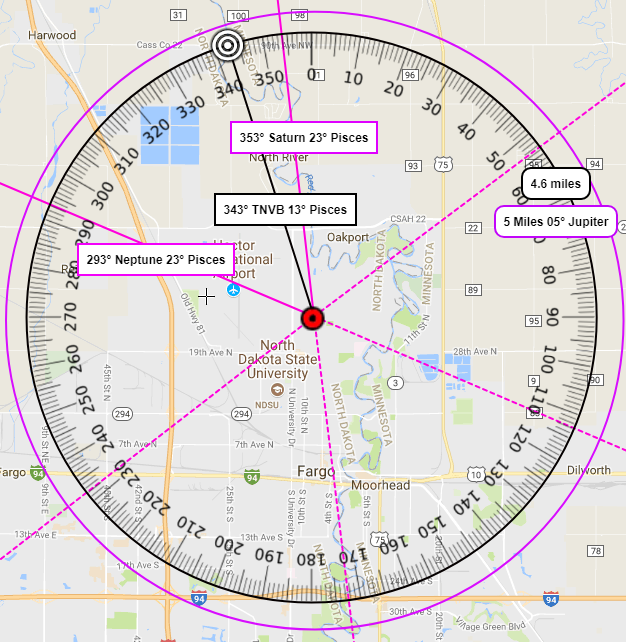 This Vector shows an exact 90° Square from Juan's Natal Sun measurement at 00° Taurus or 030°. 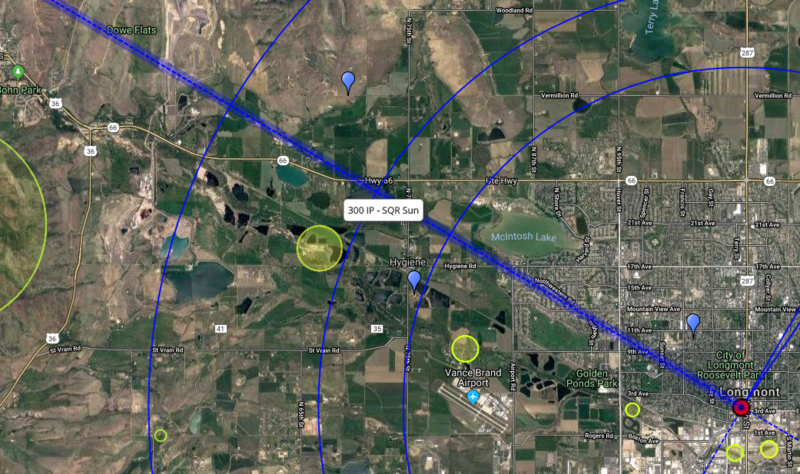 Vector runs just south of police area of interest, Rabbit Mountain. 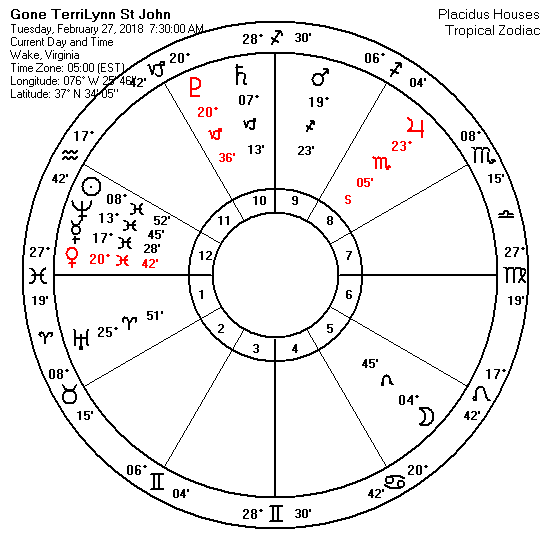 Blue dotted Vector completes a Grand trine to Juan's natal Moon and Mars Trine. 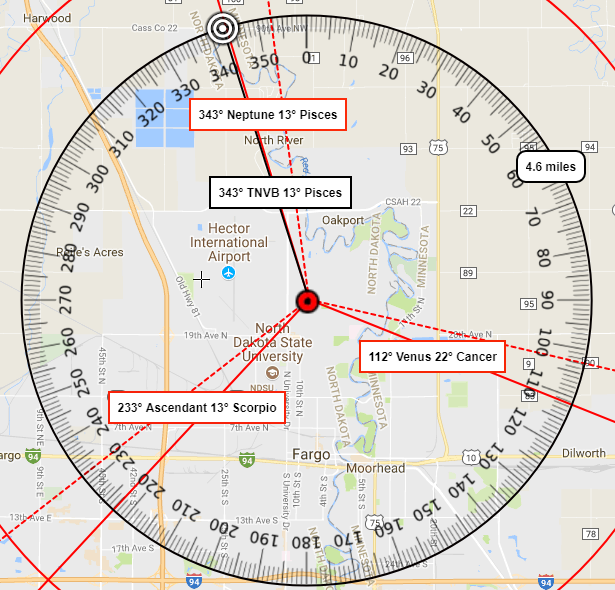 See our Assailant Page illustrating the Point of the Assailant home address or the Point of Disappearance(POD) to the Point of Recovery(POR) against their own natal measurements. One cite is that this aspect aligns with Figueroa's home on Grant Street from 3's bar. Did Figueroa take Rita at his home? 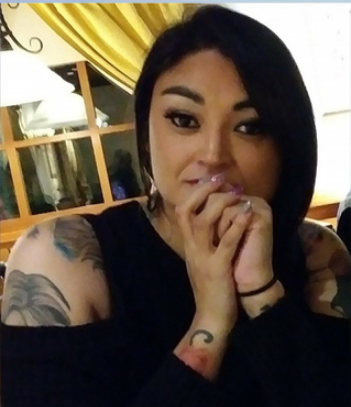 Police have reason to believe Rita's remains may be in Near Rocky Mountain. 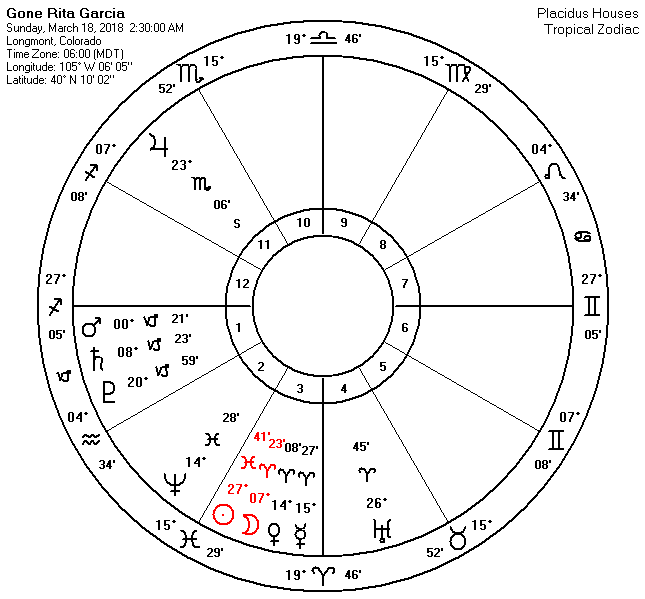 The Ascendant @ 2:30 AM on the night Rita went missing measured 267° or otherwise written as 27° Sagittarius. 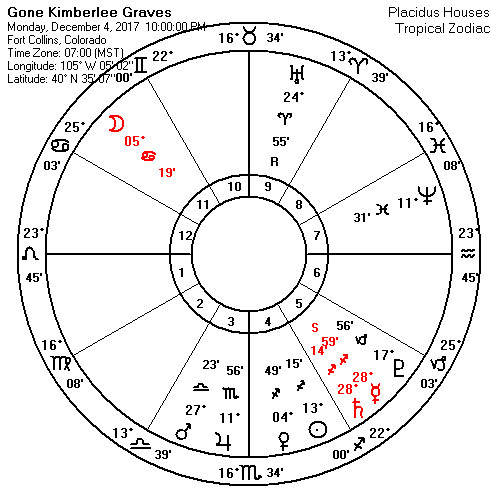 This makes a complete trine or 120° angle to Uranus at 26 Aries. The finishing vector aligns with Rocky Mountain. 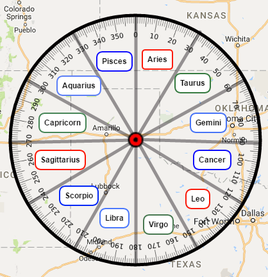 Furthest Radius in Red represents 27 Miles for the Ascendants measurement and the Sun 27° Pisces. 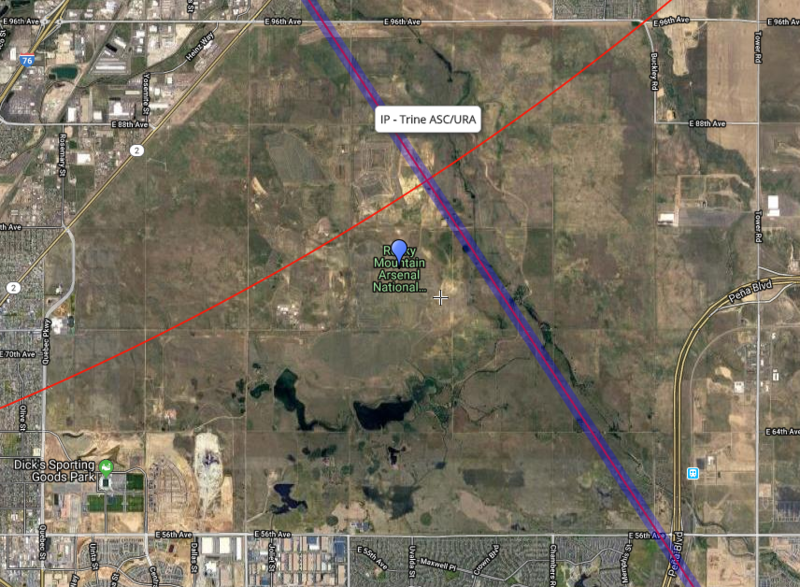 Illustration below is a close up view of the Rocky Mountain Arsenal National Wildlife Refuge. North 51st Ave and West Thomas Road. ​Her daughter was found abandoned in her car seat near North 83rd Ave and West Minnezona Ave in Phoenix, Arizona. 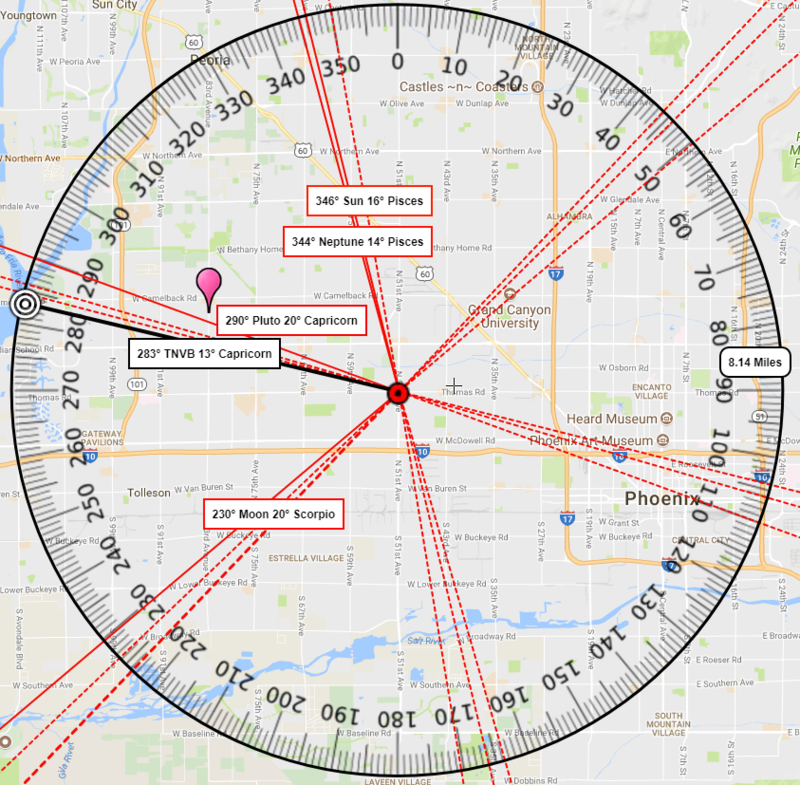 Direction Found: Conjunction to Pluto by 7° of orb. 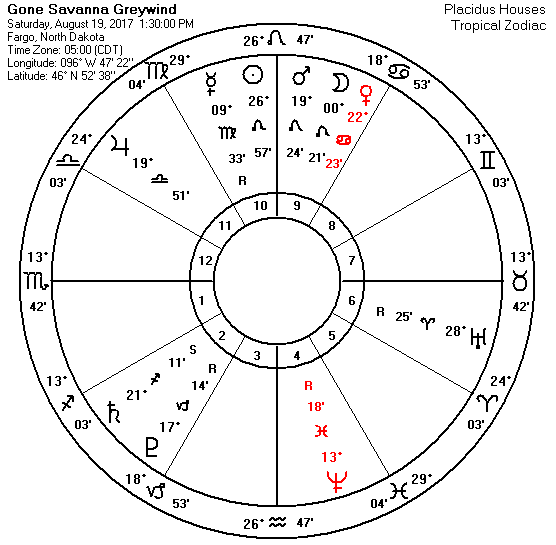 Planetary Pattern: Sun/Neptune Moon/Jupiter Pluto Sextile with Neptune having the closest vector to POR by 1° of orb. Position of Sun: Sextile(60°) by 3° of orb. Position of Moon: Sextile(60°) by 7° of orb. 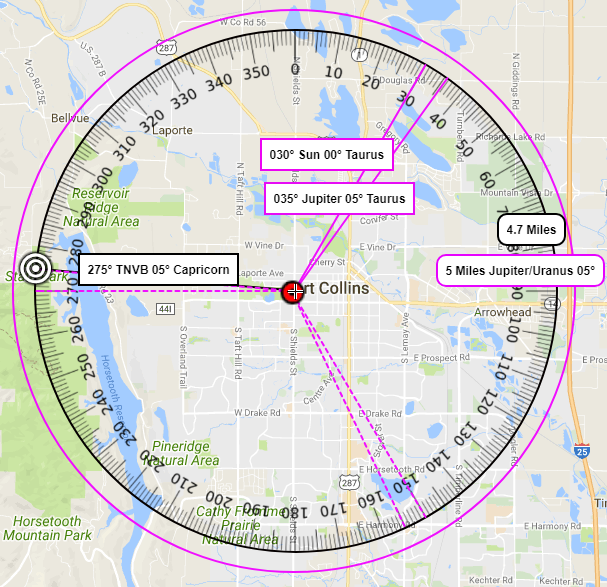 Direction Found: Conjunction to Jupiter by 0° of orb. 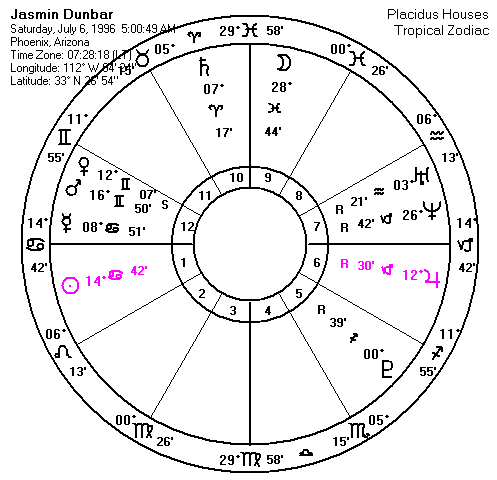 Planetary Pattern: Sun Jupiter Opposition with Jupiter having the closest vector to POR by 1° of orb. Position of Sun: Opposition(180°) by 1° of orb. Position of Moon: Quintile(72°) by 3° of orb. 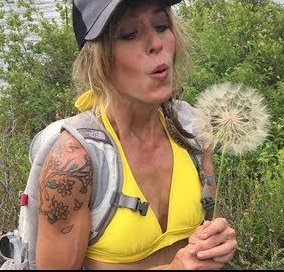 Kimberlee Graves was last seen at her residence the night of December 4, 2017 at her 1125 Akin Avenue home in Fort Collins, Colorado. On January 9, 2018 a park ranger found Grave's remains in Lory State Park in Fort Collins, Colorado. Khalid White (1/7/88) has been arrested and charged in the murder. 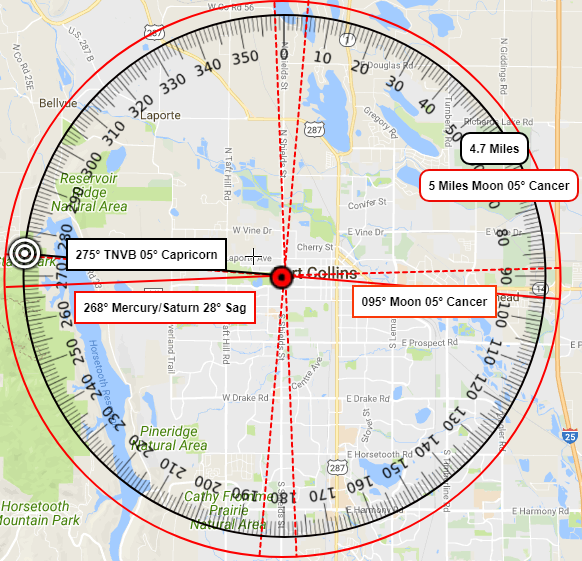 Direction Found: Conjunction to Mercury and Saturn by 7° of orb. with the Moon having the closest vector to POR by 0° of orb. Position of Sun: Semi-Octile(22°) by 0° of orb. Position of Moon: Opposition(180°) by 0° of orb. Direction Found: Finishing Point to the Sun Jupiter Conjunction by 0° of orb. 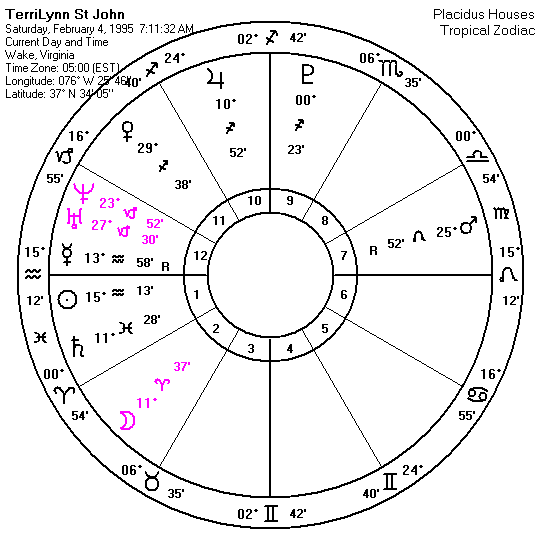 Planetary Pattern: Sun Jupiter Conjunction with Jupiter having the closest vector to POR by 1° of orb. Position of Sun: Trine(120°) by 5° of orb. Position of Moon: Vigintile(18°) by 2° of orb. Direction Found: Conjunction to the Planet Neptune by 0° of orb. 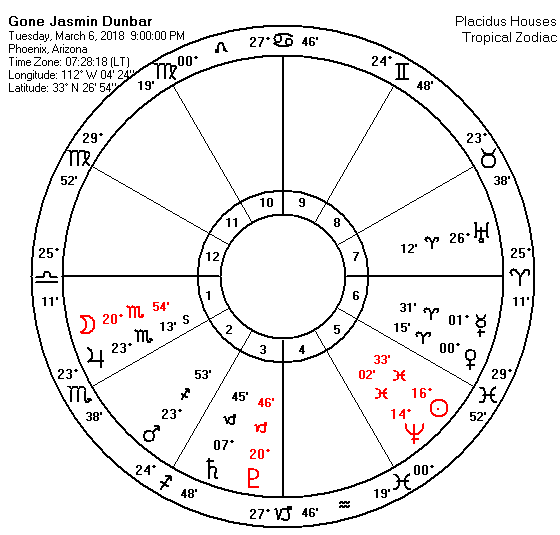 Planetary Pattern: Ascendant Venus Neptune Trine with Neptune having the closest vector to POR by 0° of orb. Position of Sun: Quindecile(165°) by 3° of orb. Position of Moon: Sesquiquadrate(135°) by 2° of orb. Direction Found: Conjunction to Saturn by 10° of orb. 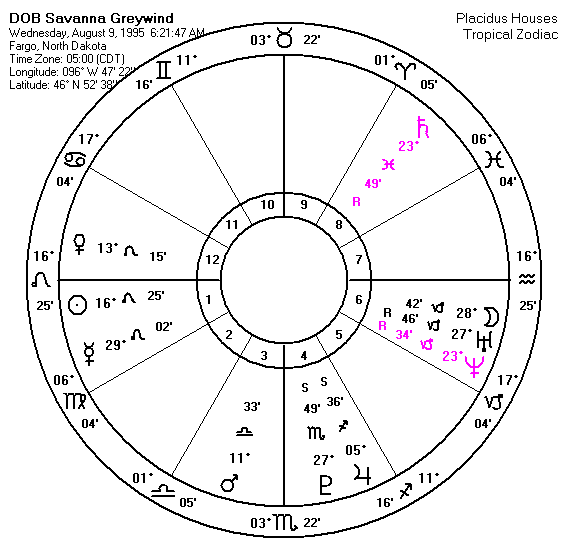 Planetary Pattern: Saturn Neptune Sextile with Saturn having the closest vector to POR by 10° of orb. Position of Sun: Inconjuction(150°) by 3° of orb. Position of Moon: Semi-Square(45°) by 0° of orb. 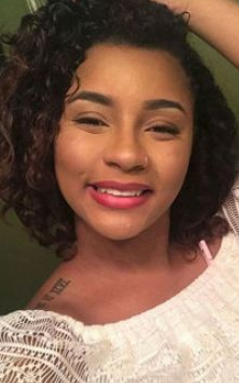 TerriLynn St. John was last seen on February 27, 2018 at 4:30 AM by her boyfriend as he left for work. Family state that she was last known to be outside her house located at the corner of Mill Wharf Road at 7:30 AM preparing her car to take her children to daycare. It was reported her children were found inside her home alone, while her cell phone was found in a bush and there was a broken necklace in her yard. 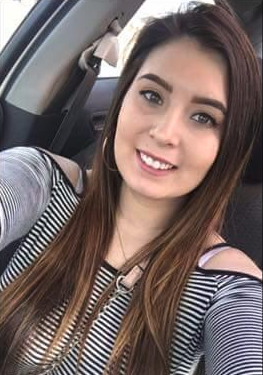 Investigators located St. John's remains on March 1st in a wooded area off Barrick Mill Road with the assistance of 23-year-old Alvin Keyser (6/22/94) who was then subsequently arrested. 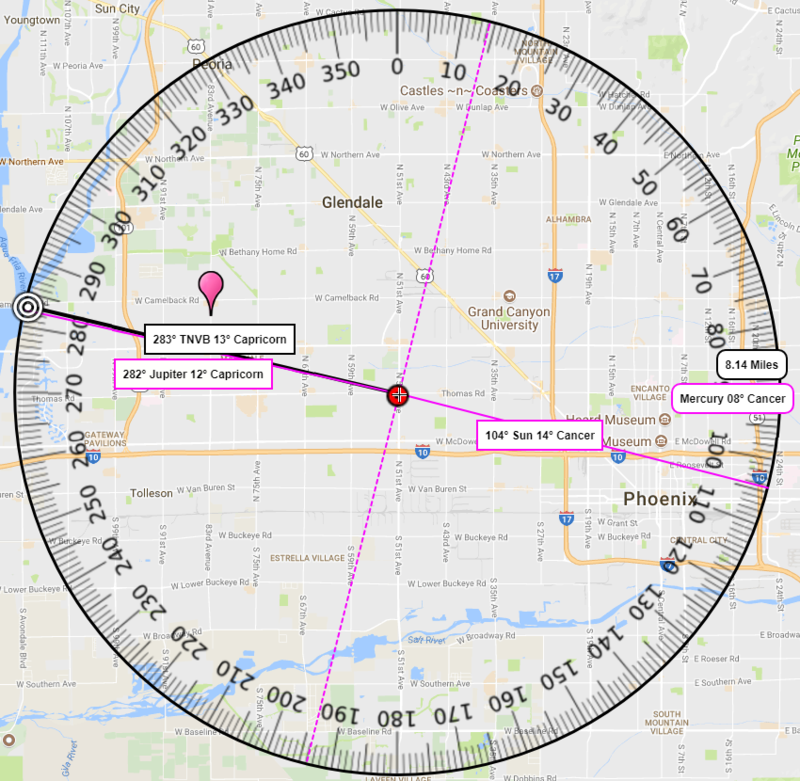 Direction Found: Conjunction to Pluto by 1° of orb. 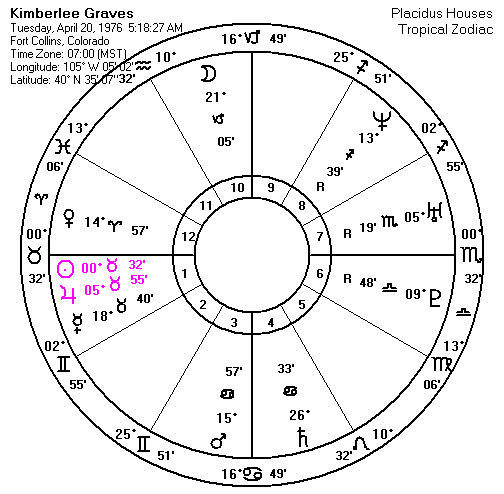 Planetary Pattern: Venus Jupiter Pluto Sextile with Pluto having the closest vector to POR by 1° of orb. Position of Sun: Semi-Square(45°) by 2° of orb. Position of Moon: Quindecile(165°) by 2° of orb. 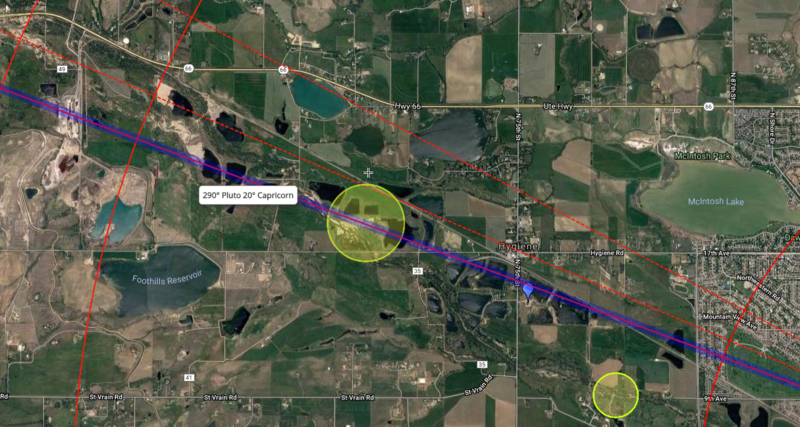 Direction Found: Conjunction to Neptune by 2° of orb. 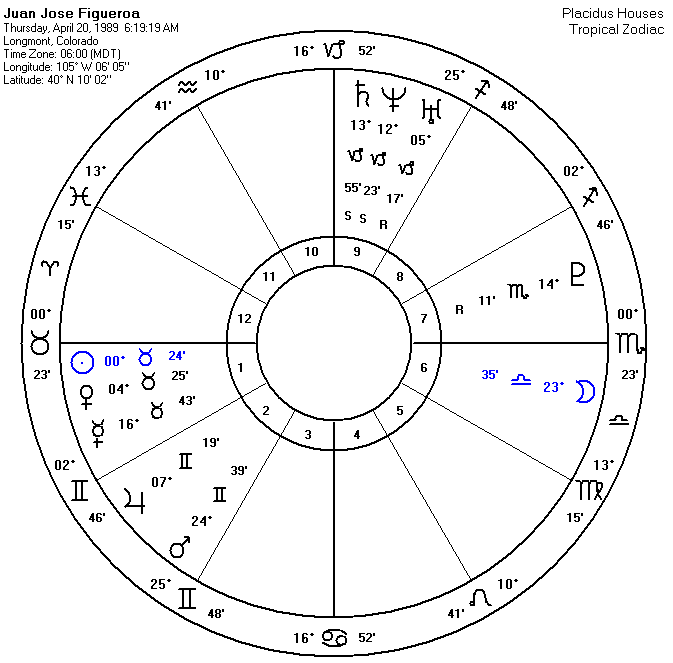 Planetary Pattern: Moon Uranus Neptune with Neptune having the closest vector to POR by 3° of orb. Position of Sun: Semi-Octile(22°) by 2° of orb. Position of Moon: Square(90°) by 10° of orb.